What made 2009 a special vintage in Horse Heaven Hills, where you sourced your Syrah, or for Helioterra in particular? My Syrah came from Coyote Canyon Vineyard, which is farmed by Mike Andrews. Mike and his crew are amazing farmers with generations of experience farming in Central Washington. 2009 was a very warm and ripe year in the Horse Heaven Hills. This presented challenges of potentially over-ripe fruit with low acids. My goal was a wine that did not demonstrate the characteristics of the hot vintage, and I think I succeeded in this. 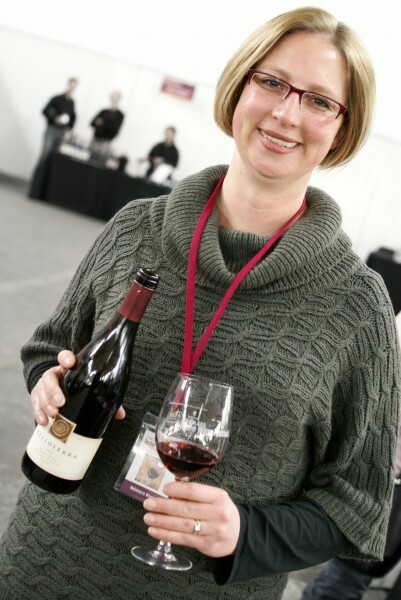 As a winemaker based in Pinot-country, what lead you to make a Washington Syrah in 2009? I am a personal fan of Syrah. I knew I wanted to make at least one “big red” wine that was a non-Pinot red. Syrah seemed like a no-brainer choice to me. I make wines that meet my quality standards, and I hope others appreciate that as well. People have warned me against Syrah, claiming it a tough sell. I have not seen that. The buzz around my Syrah has been exciting and somewhat surprising. Humbling, actually. Did the experience help you learn anything new about making wine? This particular wine taught me a ton! Every wine does, and I am my toughest critic. But, this Syrah was the ultimate lesson in patience. We courted each other for over a year before we truly began to fall in love. The fruit got too ripe too fast and I had to really ‘work’ with what I brought in. I spent the duration of the entire 18 months barrel aging time reigning in the wine (ok, letting it reign in itself…) before I was happy with the results. 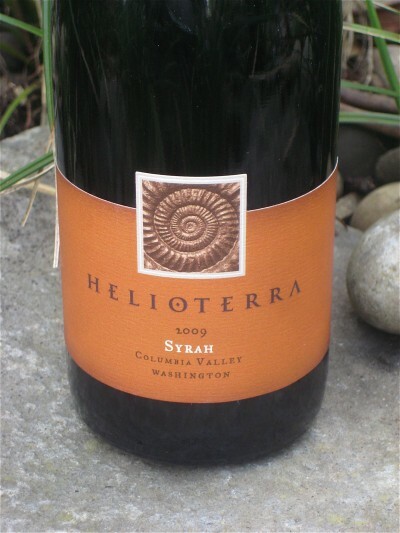 Do you have plans to continue producing Syrah under the Helioterra label? Absolutely. I love Syrah. I always plan to make Syrah. However, I doubt that it will ever be a large production wine for Helioterra. At some point in the future, I could see it becoming primarily a wine club and/or direct sales wine. What is the most valuable lesson you’ve learned as a winemaker in Oregon? To be flexible. In Oregon, Mother Nature drives so much of what we produce, all we can do is shepherd her. I just strive for consistency across vintages; leaving my signature on each wine. What do you hope to accomplish in vintages to come, or specifically for the 2011 harvest? I want to continue to deliver quality and consistency without breaking the bank. I want my wines to be enjoyed on a regular basis, and not be relegated to a “special occasion” wine. I make wines to be consumed and shared. Certainly, to be cellared, too. But the purpose is to have them consumed. Don’t worry … I’ll make more.